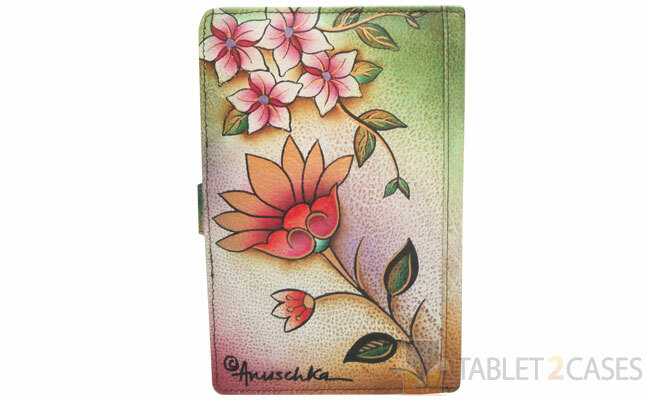 Jaipur Paisley E-Reader Cover from Anuschka is an eye-catching folio tablet case compatible with a range of e-readers including the Amazon Kindle Kyeboard, Kindle Fire, Sony Reader Daily Edition and other similarly sized tablets and e-books. The genuine leather material is not only gorgeous, but also highly protective of the device. 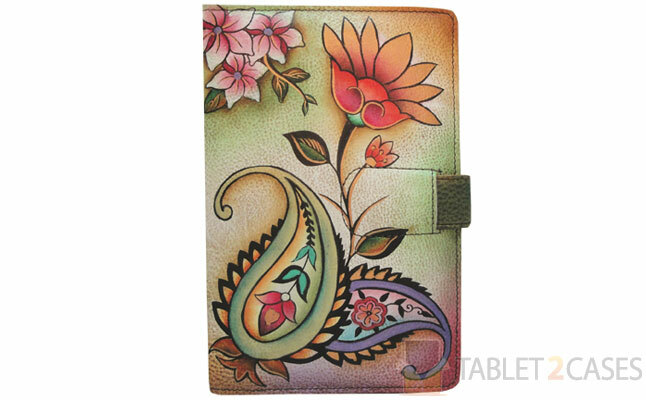 Each and every Amazon Kindle Fire case is hand-painted ensuring there’s no second one like it. The new case comes with a 4-point mounting system to secure the tablet inside the case and prevent any accidental slip outs. The ultra-soft suede interior keeps the tablet safe from scratches and minimizes the smudging. 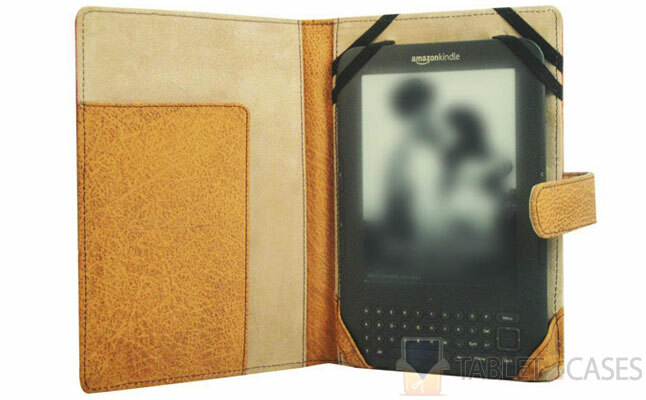 The new Amazon Kindle Keyboard case features a slip in pocket for small documents and two credit card holders. The slip-in-loop closure system keeps the case securely shut when not in use and prevent accidental openings. The new case is the best combination of high-quality materials with stylish design.